Bangladesh has made an epoch making event in the history. Today at 2:14 am it has successfully launched its first satellite in the space. Bangabandhu Satellite is the first geostationary communication satellite of Bangladesh. 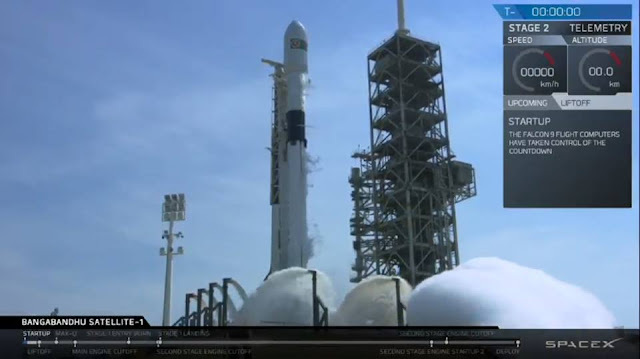 The launching was performed by the SpaceX, an USA rocket launching company. And the manufacturer of the satellite is Thales Alenia Space of France. The operator of this satellite is Bangladesh Telecommunication Regulatory Communication (BTRC). And The satellite is launched by SpaceX Falcon 9 rocket.